Summer…possibly the best time of the year because people travel, have time off, and spend vacations together. But it’s scorching hot - in and outside - and the sweat just doesn’t seem to go away. But with summer comes extreme heat. It’s important to take precaution and make sure that regardless of what activity you are participating in outdoors you are always safe. Heat exhaustion is basically extreme dehydration that puts a lot of pressure on your heart. Heat stroke is even more serious. Most of time you feel hot and you know your body is trying to fix a problem. But sometimes you don’t feel the rising temperature. As overheating is developing, you can feel chilled. Extreme heat, especially over time, can cause heat cramps, heat exhaustion and heat stroke. 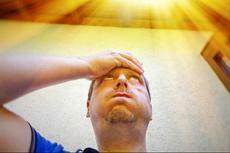 While heat cramps and heat exhaustion can be dangerous, heat stroke can be fatal.